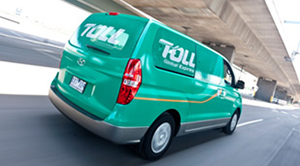 We deliver across every part of Australia using TOLL PRIORTY EXPRESS & TOLL ROAD EXPRESS Services. When it comes to getting your important musical equipment and accessories to your door we offer fast, trackable and fully insured shipping across the country! QUESTION : How long does your shipping take? a flat rate of $13.95. That means NEXT DAY TO 90% OF AUSTRALIA delivery with this service if your order is made before 4PM PERTH TIME for that FLAT RATE OF $13.95. That's 7PM Eastern Summer Time! Here is an example: let's say you live in Sydney and it's summer daylight savings time. You can order an item from us until 7pm your local time and you'll receive that order the next day to your door. BEING WEST HAS IT'S ADVANTAGES AND ALLOWS US TO BE ABLE TO OFFER THIS SERVICE. Larger items like guitars, amps, large digital pianos...anything else OVER 5KG will be shipped TOLL ROAD EXPRESS to your door. Fully packed, fully insured and with complete tracking in your email inbox as soon as your order is processed. Sound Centre has always offered very attractive shipping rates to everywhere in Australia and we will continue to do so. With offers like our special $13.95 priority overnight shipping on smaller items you can receive next day delivery anywhere in Australia. We also offer "free shipping Australia wide" on a selected range of products throughout our store. Our fully insured road delivery on larger items is extremely well priced and will get to you fast considering our west coast location. QUESTION : What are your Road Express shipping costs? You can grab an instant shipping quote on any product to your location by using the shipping calculator that's found on all of our product pages. Just enter your state and postcode and it will do the rest. It will also calculate multiple items ordered to your location. In the Perth metro area we offer *FREE DELIVERY, IN HOME TUNING AND REGULATION on every acoustic upright or grand piano! Upright and grand pianos can only be delivered in W.A. A: Some great news for our Northern WA and Esperance customers is that we are able to offer you FREE NEXT DAY WA SHIPPING on any items up to 5KG in cubic weight (that is a massive range of our items that are available online) and we are also are able to offer extra special pricing on larger items. Try our in built calculator that available on every product to see what items apply for this NEXT DAY WA free shipping offer. And remember; If you're up north, we can beat anyone on the east for shipping rates and speed. We invite you to call us for more info. QUESTION : What's the best delivery address to use? Your delivery will need to be signed for so we strongly advise that you only ship to an address that has someone available during business hours to collect and sign for your item. Please note that TOLL cannot deliver to you at specific times of the day and we cannot take requests for delivery at requested times of the day when using TOLL. Delivery will occur any time during business hours Monday to Friday. WORK ADDRESSES are the best to use as someone will in most cases be available to sign for the delivery. You will have tracking and we will mark your delivery with your mobile number. SORRY - WE CANNOT SHIP TO P.O BOXES. If no one will be home during the day we highly recommend shipping to another address. QUESTION : I'd like to pick up the item at one of your stores is that possible? Of course! Just choose in store pickup at the end of checkout. This service is available for Perth and WA customers to collect. Call or message us for more info. If your purchased item is faulty or damaged when you receive it or different to that depicted or described to you when ordering or not functioning as intended we will offer a refund, repair, exchange or store credit as applicable. In the rare event of this happening please call us with your name and order number and we will assist until the problem is resolved. Please choose your item carefully. We cannot offer refunds simply because you change your mind. Contact us to discuss your request. Some items are strictly non-returnable. This includes but is not limited to: software, print music, DVDs, harmonicas etc. Returned goods must include a copy of your sales receipt. For more information, please call us on 9370 1185. With the exception of warranty claims, return requests must be submitted within 14 days of the shipping date or within 7 days of receiving the goods. If you return an item to us you will incur all shipping charges for that return. Please call us to discuss if you need to return your order for any reason. Just give us a call and we can discuss the best method of return with you. Any shipment not received by you as a Sound Centre online customer after your order has been shipped by us to you, that is left uncollected (abandoned) at a TOLL depot or collection point for a considerable amount of time ( we as Sound Centre define that to be over 10 business days from the date we shipped the item to you) can incur additional re-delivery charges. 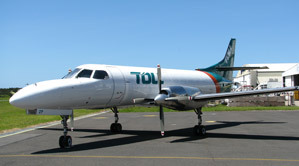 If after multiple repeated attempts to contact you by both email and telephone by either us or our shipper TOLL Australia and in the event that we do not receive correspondence from you via email, telephone or through our websites messaging service, we reserve the right to pass on to you any storage and re-delivery charges that that may occur and be charged to us by TOLL Australia. If you are having difficulty collecting your item from TOLL due to personal circumstances (that is not related to TOLL's delivery service) please contact us immediately.